Niki is apparently a hard name to spell. My own grandmother never got it right, but I kept her birthday cards anyway. The long-time leader of Libya has engendered a spelling nightmare for journalists, writers, bloggers, and the general public. The general public, of course, creates spelling nightmares all by themselves, but I digress. Part of the trouble comes from transliterating Arabic—which has its own alphabet—into English. It's like trying to explain to a guitar player the notes on a piano. Not only are the notes presented differently on paper, they sound different. In 2009, ABC News posted 112 different spellings used by various media sources, print and online. Since the recent Libyan rebel uprising, I'm quite sure more versions have been created. Even the Wall Street Journal and the New York Times aren't in agreement. The WSJ uses a “g” and includes an "h," while the NYT uses a “q” without the "h."
Can you say "confusion"? C.O.N.F.U.S.I.O.N. In my job as a copyeditor at our small weekly paper, we aim for consistency. If you can't be consistently right (because there is no official "right" or "wrong") then at least be consistent with whatever you choose to use, even if it 's not correct. How painfully typical of English grammar ... and Christianity. It's frustrating to admit that everything in the world around us isn't perfectly black and white. Whether we're talking about personal application of spiritual truth or how to spell the name of a foreign leader ... we want to know that we are "right" and we want everyone else to agree with our "rightness." subjective. It's the infamous "tomato, to-mah-to" debate. Our individual perception—based on our personal history and experience—creates our reality and our sense of right and wrong. In your world the leader of Libya is Col. Muammar Abu Minyar al-Qadhafi (the usage preferred by the CIA world fact book). In my world, it might be Moammar El Gadhafi or simply, "that guy in Libya who sounds as crazy as Charlie Sheen." However you choose to spell the Libyan leader's name, it's important to remember God's law of love supercedes every other rule, every other guideline, every doctrine of man. And it is His law of love to which we are indebted in Christ. Have you prayed for the leader of Libya lately? Lord, You said we should pray for those who are in authority. This man, whose name YOU know, has ruled the nation of Libya for many years. Now we pray, Lord, that Your divine will may be accomplished there, that righteousness would rule and reign, and that mercy would triumph over judgment. Lord, we believe according to Your Word that you place men in authority according to Your will, and so we pray for Your will to be done as it is done in heaven. In the name of Jesus, the King of kings and Lord of lords, amen. 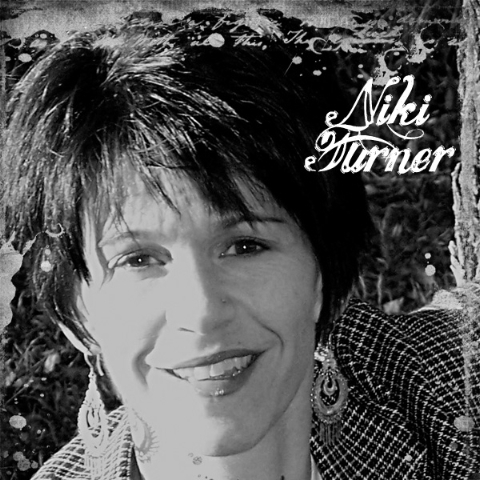 About the Author: Niki Turner has been a pastor's wife at a small church in rural northwestern Colorado since 1998. She and her husband have four children, are soon-to-be grandparents, and have been married for 20 years. 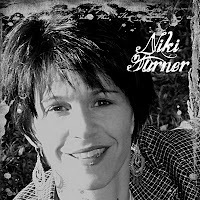 Niki writes fiction, blog posts, articles in the local newspaper, grocery lists, and Facebook status updates. She can be found at her own blog, In Truer Ink, on Mondays, Wednesdays, and Fridays in addition to posting here and at Inkwell Inspirations. She is a 2009 finalist in the Faith, Hope, and Love "Touched by Love" contest. I guess we need someone in to post about narcissism as well. Charlie Sheen? I'm glad I didn't have a mouthful of coffee on that one. They both have the rumpled brow going, don't they? With so much of the world unsettled or reeling from recent disaster, I'm joining you this morning for prayer over coffee. Gadhafi is clearly unbalanced, but with rebel forces infiltrated by Al Qaeda, sometimes it's hard to know who to root for. It's such a blessing to have a wise God to trust in. So true, Barb! It's a conundrum for sure. Good post, Niki. I rarely agree with the present secretary of state, but she said something to the effect that "there is no perfect option" in this situation. And in earthly terms she's right. But spiritually we'll never go wrong praying that God's will be done and His name exalted. Before the American Revolution there were a couple of days that were set aside by the colonial leadership as days of prayer. I wonder how much better our foreign and domestic policy would be if people still thought that would work. Deb, I considered posting about Charlie Sheen, but beyond "Lord, have mercy!" and "I can't believe he actually SAID that!" I ran out of ideas. Thanks Barb, and amen, there is no easy solution but God is bigger! Lisa, it would be nice to have prayer be our FIRST resort instead of our LAST resort! We need to pray for our president and his staff, as well, that they would hear from heaven and do according to the will of the Father. Unfortunately, since the last election it seems the church has, in large part, opted for blaming, cursing, and evil-speaking instead of praying for those in authority. I noticed all the weird Gadhafi spellings, too. I think they do the same thing with that other guy our government has been after for years. The one whose name gives me shivers. Seriously, I never thought to pray for him. And shame on me for that. I will, now. Thank you for your gentle reminder. Suzie, just sharing the rebuke I got... : ) Because it's always better to share than keep it to yourself! Excellent post, Nik, er, Nikkey. What a timely reminder to pray for world leaders and those who are in authority over us. Cool tidbit about the Revolution, Leesa. I didn't know that. BTW, both my first and last name are mispelled and mispronounced up the wazoo. And certain relatives don't spell any of our names right, either. Susie, it seems to run in families. My husband's family all have simple, easy to understand, card to misspell names like Pat and Tom and Amy and Holly and Jeff. The only one in my family with a normal name is my dad, Sam. My family misspells my name, too. And my own mother calls me Judy half the time. I've learned to answer to Ju-Suzie and Judy-Suzie. Judy? Where on earth does your mom come up with Judy? Judy is her baby sister. And you know, I'm always Judy when she's upset. If she's really upset I'm not Ju-Suzie. I'm Judy-Suzie-Judy. LOL.